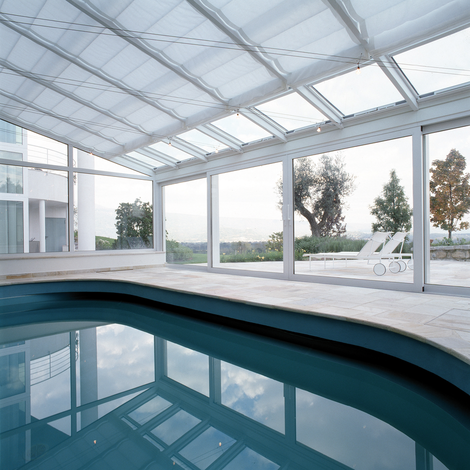 Wintergarden systems for standard shaped, triangular windows and skylights. For large glazed areas: the tension roller blind systems or the world exclusive horizontal panel system Silent Gliss 8800. 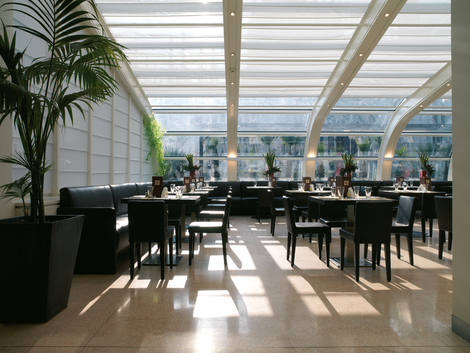 The demand for skylights and wintergarden systems continues to increase as modern architecture uses larger expanses of glass to maximise natural daylight and views in both domestic and commercial buildings. 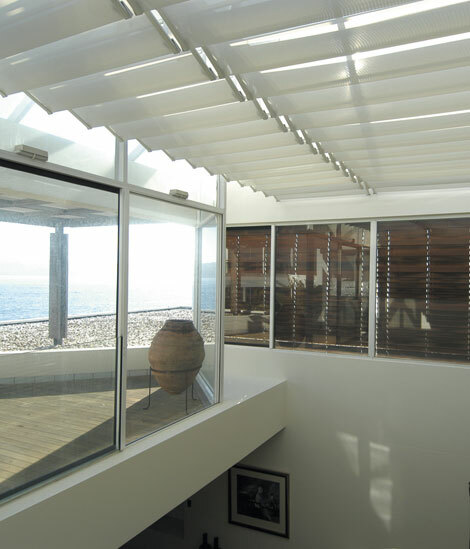 Silent Gliss wintergarden systems combine side-guide profiles and soft-folding fabric panels to achieve an elegant interior window treatments that are ideal for glass roofs, atriums and conservatories. Our electrically operated skylight systems allow the operation of inaccessible systems, or just add a touch of luxury, using a wall switch, remote control or via the Silent Gliss Move app. Our crank operated skylight systems allow the operation via a detachable metal crank.